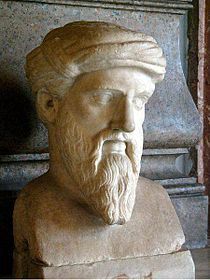 Pythagoras (c. 570 BC – c. 495 BC) was a Greek mathematician, philosopher and religious leader. Pythagoras was an influential philosopher, who is said to be one of the first men to describe himself as a philosopher – meaning a ‘lover of wisdom’. His life and teachings had a profound effect on Plato, and through Plato, Pythagoras helped to shape Western philosophy. Pythagoras is best known today for his contributions to mathematics, in particular, the Pythagorean theorem relating to right-angled triangles – though it is unlikely he developed this theorem himself. Biographical sources for the life of Pythagoras are limited and were written many years after he died. As a result, it can be difficult separating fact from myth. Pythagoras was born on Samos, a Greek island. He studied from both Greek and Egyptian teachers. It is said Pythagoras travelled widely seeking all available knowledge, including perhaps the Chaldaeans and Magi. It is believed that Pythagoras may have taken initiation in secret religious rites in both Greece and Egypt. Pythagoras also took an interest in music (he played the lyre), poetry (especially that of Homer), astronomy, music and geometry. Pythagoras also spent time in Babylon where he learned from the mathematical sciences of the Babylonians. Around 530BC, Pythagoras moved to Croton in Italy, where he became a highly influential figure in society. His Pythagoras fellowship attracted many followers drawn to the personality and teachings of Pythagoras. Pythagoras assimilated different religious traditions and created a new religious movement, which attracted various followers. Pythagoras’ religious teachings included an emphasis on temperance and self-control. He is likely to have been vegetarian, frugal in diet and advocating a simple lifestyle. Pythagoras was considered a mystic and will have taught different mystical practices to his followers, though in the tradition of the society, they were kept secret. However, it is known that initiates had to practise periods of silence, meditation and self-introspection. Possible applicants were tested for their calmness of character and equanimity before being initiated into the higher echelons of the society. At the basis of Pythagoras’ teachings was the belief in the soul and the attempt for an initiate to become aware of the mystical element in man. He is widely considered to have believed in reincarnation (transmigration of the soul) and is said to have known some of his past incarnations, which included one as a beautiful courtesan. This belief in reincarnation was a key element of the contemporary Orphic religion, and Pythagoras would have come across it during his studies in the temples and mystic schools in Greece and Egypt. This theory of transmigration could also involve moving between human and animal bodies. 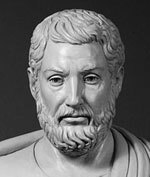 According to Xenophanes, Pythagoras is said to have heard the cry of his dead friend in the bark of a dog. The secret, esoteric religious teachings were only available to select initiates, so information and knowledge were strictly limited. However, the secret mystical practises and traditions are said to have placed a strong influence on later secret societies, such as the Rosicrucians and Freemasons. By, all accounts the friendship and bonds of Pythagoras’ fellowship created a strong movement and sense of brotherhood amongst its members. However, the fellowship also attracted its enemies. Possibly people jealous they were excluded or worried about the power and influence of Pythagoras. Pythagoras’ emphasis on simplicity and frugal living may have included highlighting the indulgences of others, which made them unpopular. Some sources suggest Pythagoras criticised immoral living he found in Croton. On one occasion, his enemies launched an attack against Pythagoras’ fellowship at one of their temples, and the order was suppressed. This drove the fellowship underground, though many individuals continued to practise the secret rites. Pythagoras has been credited with proving the Pythagorean theorem – in a right-angled triangle the sum of the square of the hypotenuse is equal to the sum of the squares of the other two sides. Whether Pythagoras proved this theorem is debatable. Sources suggest that knowledge of this theorem was around before the time of Pythagoras in Babylon and India. The extent that Pythagoras got involved in Mathematics is difficult to say, but Plato was keen to credit Pythagoras, perhaps to bolster his Platonic sciences. Nevertheless, Pythagoras has often been portrayed as a philosopher with a deep love of numbers and holding a belief that numbers explained a profound harmony of the universe. 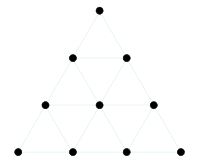 The Pythagoras secret society is believed to have used the Tetractys – a figure of 10 points arranged to create triangles and numbers of symbolic significance. It has been used as a mystical symbol to prove the divine order of the universe. The four rows symbolising the four elements, fire, air, water and earth. The ten points, being the unity of a higher order. The prayer of the Pythagoreans related to the Tetractys. “Bless us, divine number, thou who generated gods and men! 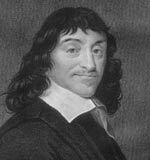 O holy, holy Tetractys, thou that containest the root and source of the eternally flowing creation! For the divine number begins with the profound, pure unity until it comes to the holy four; then it begets the mother of all, the all-comprising, all-bounding, the first-born, the never-swerving, the never-tiring holy ten, the keyholder of all”. Citation: Pettinger, Tejvan. 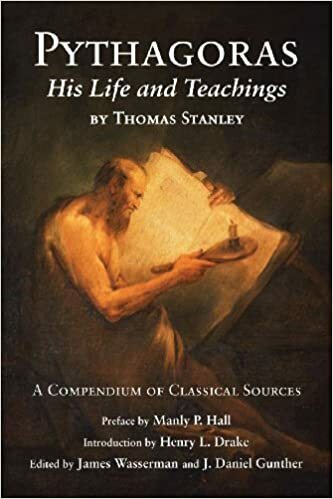 “Biography of Pythagoras”, Oxford, UK – www.biographyonline.net. Published 3rd August 2014. Last updated 22 Feb 2018.